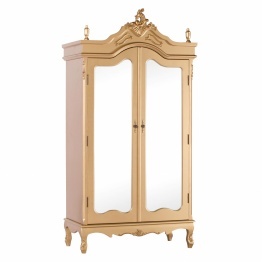 You can find Antique style Armoire & antique French furniture with the aid of provincial elegance. Get the colour of your choice by us. 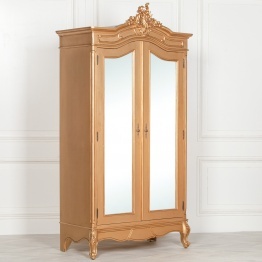 We offer Antique style Wardrobe around the whole world especially in the United Kingdom & Europe. We offer free delivery to most parts of the UK. For international deliveries all you have to do is to give us your postal code for delivery prices and we will do the rest. If you need something ask us we can source the required products. We are usually glad to help together with your requirements. You can shop online but keep in mind that not all our products variety is online. Something interior layout theme you pick for your bedroom, one of our French wardrobes is positive to supplement it perfectly. 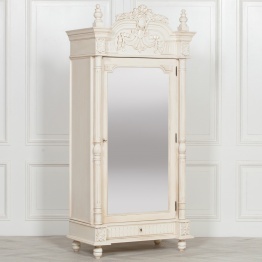 Whether you like natural wooden, rustic, distressed paint, or an antiqued style, whitewashed end, we have the right French armoire in our series. If you would prefer something with a touch extra opulent, a lovely Mirrored Wardrobe or French Wardrobe is simply the factor. 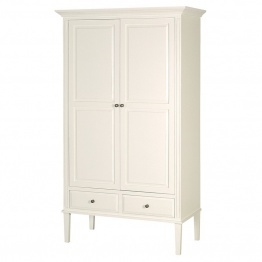 Every Shabby Chic Wardrobe on this variety has been completed to the best requirements through a team of skilled professional furnish designers who take top-notch satisfaction in the paintings they do. 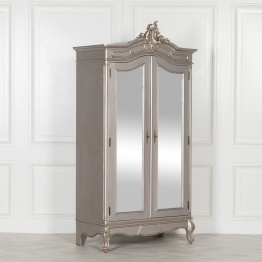 Choose Silver Armoire or Cream Armoire to make your bedroom more beautiful. Solid pieces of furniture which include our French armoires and wardrobes are constructed to last an entire life and to be handed from one era to the next. We're highly pleased with the high-quality build of all our furnishers and the French wardrobes on this series aren't any exception. We insist that all of our homemade French armoires are made with the best materials and carved by hand by grasp craftsmen. All of our painted French fashion fixtures are hand painted with a 7-level procedure which entails sanding, painting, sealing, distressing, varnishing, extra painting after which a final coat of varnish. 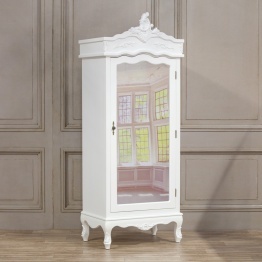 Our variety of French White Wardrobes consists of excellent reclaimed French designs, focusing on the fashion for natural, distressed, unfinished, and weathered gadgets in a French state of a style. 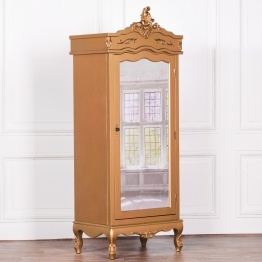 If you have a large bedroom, or massive garage necessities then our Bonaparte triple Wooden Armoire will offer all the garage you need with its a couple of drawers, cupboards and placing areas. The Bonaparte series of French fashion furniture is for the discerning eye, painted in a delicate creamy grey/blue and smooth ivory details. The elaborately carved elaborations aren't just applied, but laboriously carved absolutely with the aid of hand from mahogany. Sensational in every manner! Design and fashion- we adore chatting! Whether or not you want to realize if a wardrobe dis-assembles or in case you'd like to inquire about particular dimensions or weights (some of our French wardrobes weigh as much as 160kg!) please call or email and we can be more than glad to help. You can find Wooden Wardrobe, Silver Wardrobe and Cream Wardrobe here.